This year e-automate introduced our new mascot, Otto. Otto is the force inside e-automate that keeps your business running smoothly and efficiently. "Aflac has the duck, and Geico has the Gecko and it just seemed like we needed something that would represent e-automate to dealers in a fun, relatable way." said Tanner Phillips, an account manager and marketing coordinator at Digital Gateway, who was the original brain behind Otto. "It was natural to gravitate toward a robot to represent automation, and once we came up with just the right robot and gave him a name, he really came to life. I think people can really relate to a character like Otto." In the last few months e-automate customers have seen Otto on various emails and ads, as well as being prominently displayed at this year's ITEX show in Digital Gateway's booth. If you haven't seen him yet watch for him in upcoming months as Otto has become a permanent fixture at Digital Gateway. We thought long and hard about what message we wanted to portray to dealers attending this year's ITEX show. After scrutinizing a lot of different ideas we came up with "Yes Sir, Dealer Sir". We settled on this because we feel it is our mission to serve and support dealers as they turn their focus to building a successful business. Otto, the new face of e-automate was there on our booth decked out in fatigues, and e-automate employees also came fully dressed in urban camouflage attire. Digital Gateway and the Pros Elite Group has formed an important strategic partnership to support independent dealers using the e-automate Dealership Management System with the information and the tactics required to deliver Elite service results. Jim Phillips , the CEO of Digital Gateway and Jerry Newberry the founder and Managing partner of the Pros Elite group announced this alliance at the first best practices roundtable of the Pros Elite 100 Presidents in Sarasota, Florida. Industry Expert Jeff Way Joins Digital Gateway Inc.
Jeff Way, former Director of Information Systems for Global Imaging Systems has joined Digital Gateway as the New Director of Strategic Projects. "I have over 25 years experience in the information systems management area of office equipment dealers. This experience will help Digital Gateway to continue to solidify their dominance in the dealer management software market by enhancing and expanding the solutions that will help meet vital business information needs." Said Jeff, "Customers are looking for solutions that deliver concrete results and e-automate will provide that for their business." Do you have a manual process that takes a good chunk of time to complete every month? Have you ever wished your invoices would look just a little bit different? Do you want a specialized e-view but just can't find the columns you need or want? Dealerships using P.O. Processor are saving 1 to 2 hours a day for every 15 to 30 P.O.s they send and receive through Digital Gateway's latest innovation, P.O. Processor. Where are they saving the time? Framed by trees heavy with pink and white Cherry blossoms, the Washington DC Convention Center bustled inside with people from all over the world, eager to see what ITEX 2011 had to offer. The impressive new Conference Center was a home run and the weather was nothing to complain about. With over 50% of Dealers in MPS on the East Coast, it was a good venture for Image Source to move it's star event to our Nation's capitol. History: The steering committees where formed in 2008 and have been active for three years. To date, the groups have submitted two lists of enhancements to DGI. The 2009 enhancements have been written and will be in the 8.0 release. The 2010 and new 2011 list, which will be completed at the EUG meeting in Salt Lake City this October, will be in the following release. Martin Whalen Office Equipment celebrates their 75th anniversary! Congratulations to Martin Whalen Office Equipment on celebrating their 75th Anniversary. Martin Whalen has been a long time e-automate user and supporter of the e-automate users group. We spoke with Owner Marty Whalen himself and he told us "We are third generation owners. My grandfather started the business in the heart of the depression..."
Special Thanks to Ann Gilley for providing this suggested process. Ann is a member of the e-automate Users Group (EUG) and serves on the EUG steering committees. When working with national accounts a manufacturer credit memo is received on a regular basis to cover equipment sales, installation services or contract billing for a multitude of customer accounts under a dealerships care. It is not uncommon for credit memos of this kind to have over 100 detail line items for each of the different accounts and services provided by the dealer. Some dealers work with multiple national accounts making it more important for them to stay on top of the services they provide and assure they are receiving payment for invoices and services rendered. The process outlined below allows you to track the different payments you receive via credit memos from your vendors and reconcile these credit memo payments with your accounts receivable invoices. Using this process you can post accounts receivable invoices for national accounts as you normally would for any customer. This process outlines an alternate way to record payments received in the form of credit memos and allows you to reconcile the credits received. Jim Phillips, the CEO of Digital Gateway, has always affirmed that dealers who buy e-automate are not buying software, they are buying a company. We believe that with all of our heart and that's why we feel that it is important for our customers, and all those who interact with e-automate, to know more about the people who are At the Heart of DGI. We want you to laugh with us at some of the outrageous office pranks we see on a regular basis, smile when you speak with a customer care representative that you recently learned loves to sing opera in the shower, and marvel at the genius of our employee-made indoor miniature golf course at the DGI Mini Golf party. New Additions to the DGI family. Spring is here! (although I think with the random snowstorms still coming late in March we are beginning to wonder!) and with it comes tulips, daffodils, and... new babies! Cody Mcpheron from QA and his wife Tawnya welcomed a new little daughter, Piper Blu McPherron on March 29th. Baby and Mom are doing great and big sister Kapri at 2 years old is already a big help in taking care of the new baby! Ryan and Julie Persson brought a new little Persson into the world on February 23rd. At 8lbs 7 oz. and 20 inches long Abigail Persson is already holding her own with her older brother and sister. For those of us who have followed the NCAA this year and especially for those of us in Utah, Jimmer Fredette made this year's tournament an exciting one. Digital Gateway hosted a March Madness competition amongst employees and offered prizes for the top three with the best brackets. Usually our winner has picked a couple of the final 4 and has the winner as his/her pick but not this year. No one was really surprised when Matt Brown's (DGI Hosted Solution Manager) first round propelled him to the lead and he never looked back from there. Our VP of Sales and Marketing Lon Price came in second and if Kansas would have come through he would be in the big money but second will have to do. Mindi Wright, customer care consultant, gave the women a spot on the podium for the third consecutive year, way to go Mindi! The two Dans finished a respectful 4th just out of the money. Kind of like kissing your sister darn it all! It's always nice to have a little fun and friendly competition in the office. PrintFleet Incorporated offers dealers and distributors in the print and imaging industry new value in what is quickly becoming a commoditized market. Margin erosion has taken effect over many dealerships core competencies and "customer loyalty" is a phrase lost in the current business model. Increasingly, corporations are searching for tangible ways to: reduce costs, increase operating efficiencies and develop a long term plan to reduce and control their carbon footprint. Available in five languages, PrintFleet's software technology has enabled dealers in over 20 countries to entrench their customer relationships and offer tangible print management solutions to address these specific client needs. At PrintFleet we know that it takes more than software to successfully deliver an MPS solution to a client. As such, we invest in a team of advisors and customizable support packages that work with and along-side our dealers and distributors to facilitate the successful execution of their custom managed print strategy. Image Star is your leading wholesaler of imaging products. We offer a full line of OEM and compatible printer, fax, copier, and data media supplies. Today, Image Star carries over 5,000 SKU's of the most requested OEM and compatible imaging supplies in their 50,000 sq. ft. Connecticut facility. Our OEM product line encompasses 98% of the industries most requested and purchased products. Our Compatible line, Hyperion, offers over 1,200 SKU's in stock and is manufactured to stringent build specifications. Hyperion product holds the following certifications: ISO 9001:2000, ISO 19752, ISO 19798, ISO/IEC 24711, ASTM & STMC, and ISO 14001. We offer a full one year warranty on our Hyperion products and will send a call tag for any unwanted Hyperion product. For more information please visit www.hyperionsupplies.com to obtain further information. Image Star offers the most comprehensive services in our industry including: Next day delivery at UPS Ground Rates, Open late from 8AM to 8PM (orders placed by 7:45PM can be shipped for next day), Ship OEM and Compatibles together, FREE Ultimate Blind Drop Ship Program, FREE Private Labeling Program, Full e-commerce website, dedicated staff, online recycling center, and turn- key, customizable ink and toner websites available to our dealers. In addition to these services listed, we offer our e-automate customers a little extra. Image Star will cross reference your part numbers to our part numbers in the PO Processor as a free service as well as credit their e-automate customer's the first year's fee to add Image Star as a vendor on the PO Processor. We can also build a customizable, turnkey ink and toner store that integrates directly into e-automate. Call us today at 888-632-5515 to learn more about Image Star. LMI Solutions and Digital Gateway Inc. (DGI) have partnered to help dealers grow their business and their profits with the seamless integration of industry leading technology, products and services that today's progressive dealer can count on. Now dealers will enjoy direct access to LMI's huge selection of top quality consumables and award winning services with the DGI e-automate™ dealer management software. LMI has earned an enviable reputation of providing turnkey managed print solutions to over 500 dealers. As a recognized pioneer in the aftermarket consumables arena, LMI now offers dealers the exclusive LMI MPS MAX-LIFE Cartridge Series in addition to their PageTrack Advantage program, the industry's most powerful combination of print management technology, benchmark quality products, and a proven fulfillment system designed to maximize dealer profits and ensure end user satisfaction. If you're thinking Managed Print - think LMI. As the largest independent small ticket leasing company in the US, Great America helps independent office equipment dealers and resellers sell equipment and create innovative solutions. FleetView, inTune, and Info-Zone are examples of Great America tools that help businesses become more competitive. Great America immerses itself into the complex dealer's world and provides resources to make businesses successful. Now with the e-automate integration Great America assist dealers by providing the visibility, connectivity, and automation that dealers need. Founded in 1990, Great America is headquartered in Cedar Rapids, Iowa and is known for its culture of hard work, integrity and excellence. Supplies Network is the largest privately-owned wholesaler of IT consumables in the U.S. The company offers everything a dealer needs to serve mixed brand, mixed equipment fleets, including CARBON SiX managed print services (MPS) selected by HP as a national collaborative infrastructure partner. Integration with Digital Gateway: SN's integration with Digital Gateway includes support for electronic ordering, order confirmations, invoicing and real time price/stock check. Digital Quote Manager capabilities are available for Managed Print Services initiatives. OEM and Compatible Supplies: SN specializes in IT consumables, with the best in-stock selection of multifunction, printer, copier and fax supplies and data storage media from 70 manufacturers. The company is direct with HP, Brother, Okidata, Lexmark, Xerox and most major brands allowing resellers to participate in OEM rebate, reward and marketing programs. Top quality compatibles provide additional selection, ready for your private label. Fast Delivery: SN has one- or two-day ground delivery to 99% of the U.S. population from four regional distribution centers: Dallas, TX; Fresno, CA; Carlisle, PA; and St. Louis, MO. Direct-shipping is available to technicians and end-users at no extra charge. Compatible and OEM orders are aggregated. Fulfillment accuracy is at 99.8%. Value-Added Services: Your SN experience begins with your highly-trained rep, assigned to your account. Personalized marketing campaigns let your customers know about your selection of laser supplies. Back-office connectivity is available with all major industry providers to minimize your admin costs. CARBON SiX® MPS... Partner with us, from basic device monitoring to the only fully automated supplies fulfillment process in the industry. Our advisory team works with you through program set up, technical questions, strategic advice, and program expansion support. Grow as you transition into a services-driven business model. Our Professional Services Group offers a wealth of hands-on support and guidance from helping build your sales pipeline, to developing your own internal methodology for closing MPS deals. Win with the CARBON SiX team, growing your program revenue and customer portfolio today and into the future. The Pros Elite Group is an innovative service, sales and operations consultant and training group, providing the most detailed and proven profitability/operational improvements in the Hybrid Document\Imaging Industry. Pros Elite Group is the internationally recognized leader in Office Product Dealership Service Operations Improvement. The PROs organization is exclusively made up of former Service executives who were the co-creators of the Service Performance benchmark model which is still recognized throughout the Industry as the standard for excellence for copier / printer service organization performance. The Pros Elite Group has 3 key areas of focus; Pros Elite 100 (The ultimate marketing advantage). Pros Sales, Service & Operations consulting - Pros Training & Coaching programs and our newest "Industry first" IDEA- Independent Dealer Executive Academy. PROs Elite 100 recognition establishes the long sought after status that exclusivity brings to a dealership. We identify the top 100 service organization in the U.S. and work with the service organizations we select to further improve and achieve the Pros Elite benchmark performance standards. We then leverage this service improvement to increase hardware sales by building a marketing program that highlights the service achievements that were necessary to achieve the Pros Elite 100 distinction. Only one dealer in any market, regardless of manufacturer affiliation, will achieve PROs Elite 100 status. West Point Products is the market leader in providing independent resellers in the document imaging industry with closed loop environmental solutions, including premium replacement imaging supplies and innovative recycling programs. Originally founded in 1972, West Point Products has evolved from a ribbon and replacement laser toner cartridge manufacturer to a destination for all imaging solutions including managed print services and comprehensive environmental solutions. West Point Products is one of only a handful of companies in the imaging industry to hold both ISO 9001 and STMC certifications. With manufacturing operations in the United States and Canada and 7 distribution centers strategically located across the continent, West Point Products is one of the fastest growing companies in the document imaging industry. West Point Products' innovative products and services offering includes Axess® MPS, a suite of MPS products and services, and AgriTone™ Premium Replacement Cartridges, an award-winning line of remanufactured cartridges with high levels of bio-content. As a single-source destination for premium replacement imaging supplies, West Point Products also offers its customers an extensive array of premium replacement ink cartridges, MICR Print Solutions, replacement ribbons, printer maintenance kits and fuser kits, postage supplies, and printer parts. West Point Products is committed to providing its customers with the widest array of products and services and the world-class support they deserve. The company has built its business by forging long-term relationships with its valued customers. West Point Products is integrated with e-automate. US Fleet Tracking, located in Oklahoma City, is the leader in live asset and vehicle tracking, providing industry-leading, sub-ten-second tracking service. With the highest reliability of any live GPS tracking product on the market, US Fleet Tracking has the widest coverage area as well. Whether you're in the United States or Canada, Europe or the Middle East, Australia, South America or Africa, we've got you covered. In addition to its experience tracking commercial vehicles, the company has provided tracking to countless large-scale public venues including Super Bowls XLI, XLII, XLIII, XLIV and XLV, the 2010 Pro Bowl, and the 2010 Winter Olympics. We at US Fleet Tracking firmly believe in age-old values such as integrity, honesty and doing the job right the first time. We believe in deeds, not words. Indeed, we should. We learned first-hand from giants, titans of industry on their way to the top - men who were driven to be the best. In the earliest years of his career as a software architect (1981-82), our CEO worked for Sam Walton and David Glass. We've been creating live 5- and 10-second vehicle tracking systems literally longer than any other company in the world. During the eight years prior to forming US Fleet Tracking, our team concentrated exclusively on live tracking systems for 911 dispatch, law enforcement and ambulance services. The goal in forming US Fleet Tracking was to bring to market the first truly live tracking product at a target price which made real-time updates affordable to every individual or business in America. To this day, US Fleet Tracking continues to offer the fastest updates at the lowest price on the largest wireless coverage area in the industry. This summarizes everything we stand for and everything we're about - providing the best possible value for your money. While the others charge exorbitant per-ping fees or comparable prices for two-minute updates, our system pings automatically every 10 seconds any time the vehicle is moving; whether you're watching or not. Because we collect data 24x7 - regardless of whether you're watching - you have a real history you can play back after-the-fact. Not one position fix for a breadcrumb trail every mile or two, but one position fix every 30-50 feet. So you can see precisely where your vehicles and assets are and where they've been. At the end of the day, there's nothing more honest than delivering real value for your money. And maybe - just maybe - this more than anything else is why we've become the #1 provider of live vehicle tracking systems in the world. Headquartered in Corona, CA, ACM Technologies was established in 1989 as a distributor and manufacturer for OEM and compatible products for the business equipment industry. Our goal is to support your organization with high-quality, low cost OEM and compatible supplies, equipment, and parts. ACM Technologies has four distribution centers across the U.S., including a 100,000 square foot distribution center in our California World Headquarters, and an additional 50,000 square feet of warehouse space in Illinois, Massachusetts, and Texas. Our international locations are comprised of strategically placed manufacturing facilities, distribution centers and sales offices to support the global marketplace. ACM Technologies is proud to be the largest Authorized Distributor for Copystar, Konica Minolta, and Toshiba equipment, supplies, and accessories in the United States. We provide dealers with the most up to date equipment and supplies for these OEM brands, as well as training, certification, and technical support. In addition to our OEM product line, we offer the largest selection of remanufactured laser and inkjet cartridges in the industry. All laser and inkjet cartridges are produced in ISO 9001 / 14001 certified manufacturing facilities, and go through riours testing and quality control to ensure the highest level of performance and reliability. ACM services a broad array of customers including: dealers, distributors, rechargers, retailers, ecommerce stores, exporters, and service organizations. Our distribution expertise allows us to provide the best service to customers big and small. ACM's mission statement is to "Enable our business partners to succeed by delivering quality products and service." Copyright © 2014 Digital Gateway Inc, all rights reserved. e-automate™ is an integrated system office equipment dealers use to manage their business featuring sales, service, purchasing, inventory, contract management and accounting tools. All-new webinar series that demonstrates the key benefits of some of e-automate™'s most popular add-on products. RemoteTech™ is a fully integrated add-on module for e-automate that field technicians use to receive, review, and fulfill dispatched service alls from almost any mobile device available in today's market. PO Processor is an add-on module that removes the hassle of purchase orders by digitally connecting to manufacturers in real-time and automatically generating a PO as selections are made. Digital Quote Manager is a sales tool that works with e-automate to allow sales reps to create sales quotes with correct equipment configurations thus eliminating entry error. 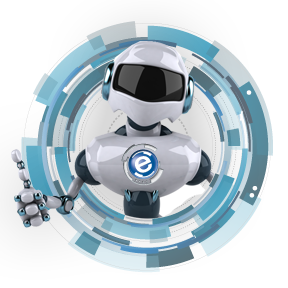 e-info™ is a fully integrated add-on module for e-automate with which dealers can set up and manage their own e-commerce web portal. Digital Taskforce is a virtual taskforce you can assign projects to so you can spend less time on administrative tasks and more time focusing on the success of your business. Digital Barcode is an add-on module for e-automate allowing users to print and scan barcode labels to better manage parts, supplies, and equipment. e-automate Commissions is designed to eliminate the hassle of calculating commissions and ensure pinpoint accuracy while addressing the many commission plans used in the industry. Proper training is the key to maximizing your investment. Our training team takes the time to understand the specifics of your business and helps you use the tools that will make the most impact on your organization. Through implementation, training, and ongoing system support, our dedicated Services team ensures you have a smooth transition to your new system and guarantees you’re making the most of your investment. Having implemented hundreds of systems worldwide, our team knows how to quickly assess the specific needs of your organization and ensure a seamless conversion to your new system. Members of our team can help you analyze your business objectives and tailor specific solutions to help in achieving your goals. This may involve Business Process Reengineering, Project Management, Strategic Planning, and more. Digital MRI is an assessment tool used to identify how well e-automate is being utilized and how it can be better utilized to increase efficiency and profitability. The Manufacturer Petition Template is a ready-made request that can be sent to a manufacturer or supplier encouraging them to integrate with e-automate. Click here to see a listing of our Platinum Level and Gold Level integrated partners. Click on the partner’s logo to view a detailed partner profile for each partner. Click here if you have a prospective client you would like to refer to Digital Gateway. This referral form is for use by Partners only. The past. The present. The future. Click here for a video compiled of several current e-automate users' testimonials. Click here for a list of recorded audio testimonials from current e-automate users. Click here for a list of several written testimonials from current e-automate users. Click here for a list of the industries we're currently working in. Digital Gateway's newsletter, The GateWAY, is mailed out each quarter to all e-automate customers and is posted here on the website as a reference tool. The GateWAY contains upcoming releases, current trends, important updates, tips, tricks, and other valuable announcements. Please enter your username and password to access the member area.